London's real Oktoberfest where Millwall Park is transformed into a traditional Oktoberfest with live music and great atmosphere. 2017 more than 50,000 revellers will enjoy the relaxed fun atmosphere of this unique experience. 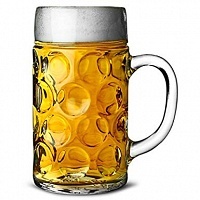 We are serving a special brewed Bavarian beer and all the Oktoberfest food you love like Bratwurst, Schnitzel and Pretzels with a wonderful range of songs from traditional Oompa music to great German Schlager.